Less than 20 tickets left. Tom Hearn is originally from New Brunswick but now lives in the centre of it all–Toronto. He’s a graduate from the Second City Conservatory and the winner of the 2017 Tim Sims Encouragement Award. Tom made his Second City debut in Miracle on Mercer Street, Improv Showdown, and is currently in The House Company. Tom is an alumni of the Bad Dog Featured Players, the creator of Kinsey Failand a member of The Sketchersons. Tom is also half of the award-winning sketch duo Tom & Erica. His sketches have been featured on Funny or Die and Comedy Minute. Most recently Tom produced and performed in two sold out performances of A Sketch Comedy Extravaganza Eleganza at Buddies In Bad Times Theatre and his new one-man show slaNG. When he is not on stage, he works as a producer. 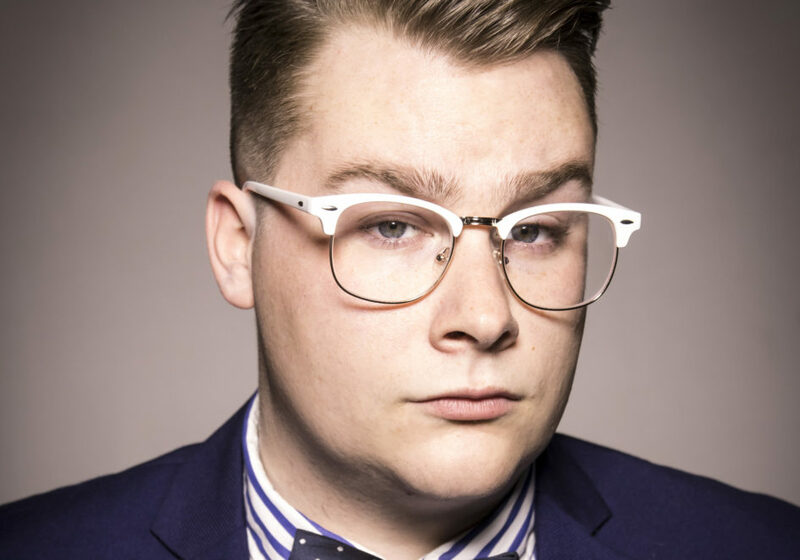 His credits include: The Combustion Festival, Blockbuster Week, Hookup, Night’s Out, Kinsey Fail, #THEPARTYSHOW, The Pageant, and the both the sold-out hits: the 420 Comedy Fest and PROUD + FUNNY.